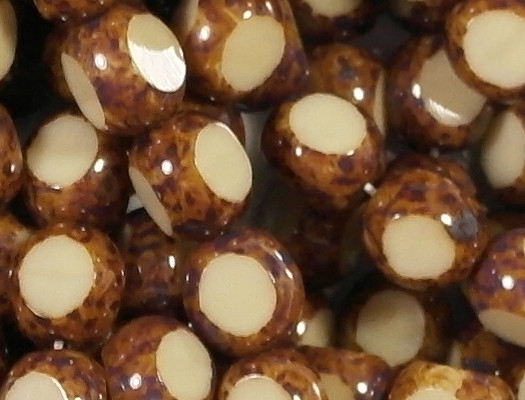 Size/shape: 8mm round with 3 facets or "cuts" around the middle. 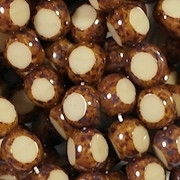 Colors/description: Beige (opaque pastel brown) with a mottled brown "picasso" coating on the round portions of the beads. Defects: Shallow ridges can be seen on most of the facets, but they are not very noticeable. (I don't know what manufacturing process might have caused them.) 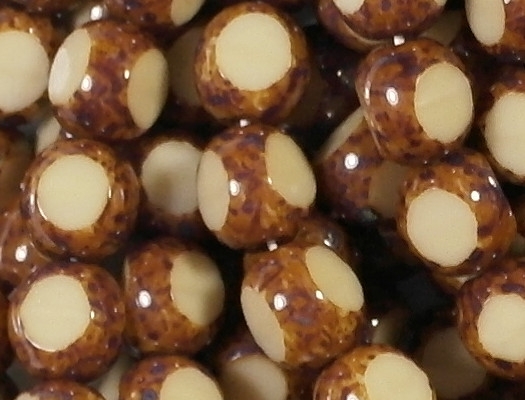 Other than that, the beads are in very good shape. 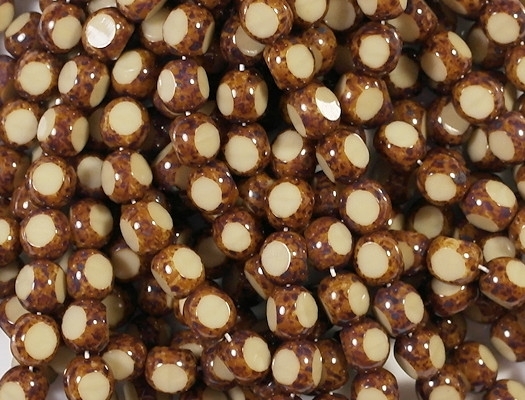 Comments: These beads are from a new supplier that has higher prices than the suppliers I was using before, so my price is pretty high. (Having said that, I should mention that I did get a 10% discount when I ordered them. In the future, there will be no discount, so the price will go even higher.) However, I feel that the quality is better. 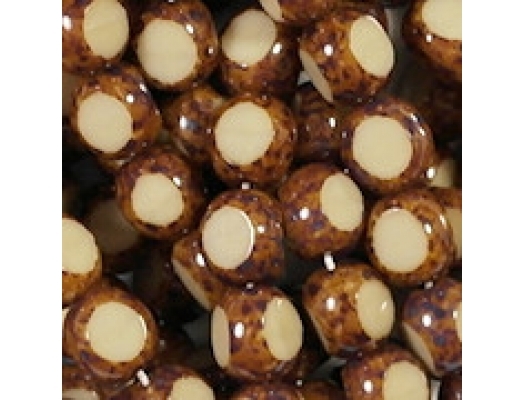 Despite what I say under "Defects" above, I feel that these beads are a cut above the other 3-cut beads that I have carried before. Caleb's notes: I don't think I'll be able to get them to give me a discount again.